Let’s face it – most people spend more time planning for a summer vacation than for their retirement. For many people, retirement planning can be complex, frustrating, and overwhelming. Our team of wealth management advisors is available to help you and your family. We can be a single source of advice for all of your financial concerns. Our wide range of services eliminates problems that can occur when dealing with multiple advisors. Our service goes far beyond offering investment advice. The core of our business is developing comprehensive financial plans and managing investments. But our expertise doesn’t stop there. 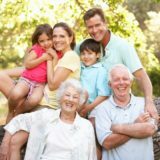 For example, we also provide advice on related concerns, such as protecting your loved ones, minimizing risks that can affect your wealth, charitable giving techniques, and estate and tax planning. We consider these related issues important because they can impact your wealth. We make ourselves available to our clients for any situation that can have a financial impact, not simply investment questions. A great example of this is the question of refinancing your mortgage. We always enjoy the phone calls when our clients say, “Here’s what I’m thinking about doing” instead of “Guess what I just did”. As your wealth management advisor, we are here to offer our advice on any financial issue.